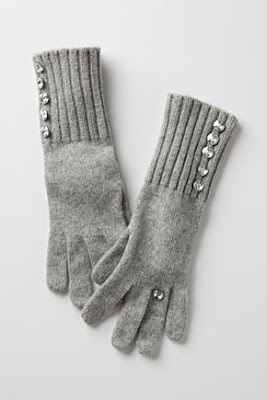 I found these gloves on Anthropology.com and immediatley loved them. I think every girl has a love for a little sparkle. However, I didn't fall in love with the price tag of $80. Thankfuly, that's where my glue gun and a trip to the craft store came in. 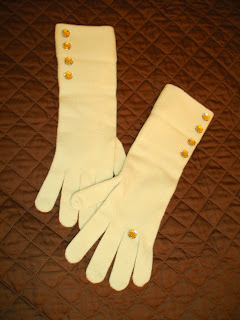 I found these gloves for $5 at Ross and the rhinestones were $3 at the craft store. So for $8, I now have a pair of my own! I love these! 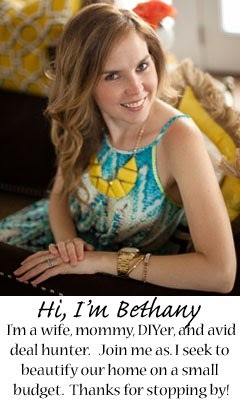 So I am totally in love with your blog. Found you on the DIY showoff... SO Glad! I have the same colors in my bedroom as your blog background. LOVE IT!